This exquisite piece was created with hand blow craftsmanship as the details on this “Sea Horse” show clearly. Made from imported artisan glass this piece of unique art, no 2 pieces can be identical, is as extraordinary as the person willing to make it apart of their home. Rest assured this piece will bring years of pleasure and delight to all that cast their eyes upon it. 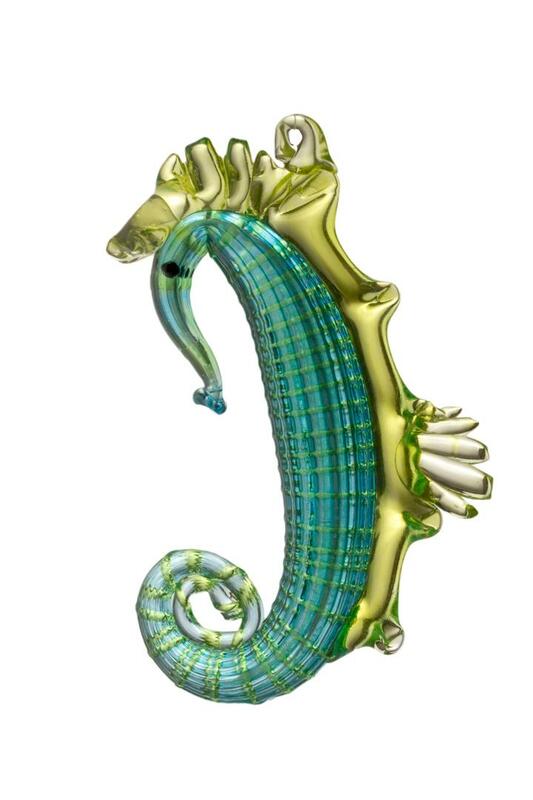 One can only imagine the hours into the night this labor of love took to create this rare collector’s piece as calming as the sea iteself as the “Sea Horse” bows it’s head yet foraging forward on it’s journey in life.